I have converted three Fire Dragon Exarchs - one with a Fire Pike, one with a standard Fusion Gun and one with a Dragon's Breath Flamer. 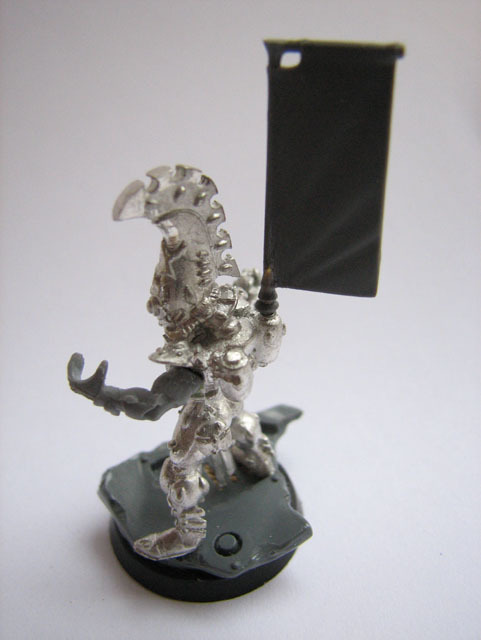 Each of the Exarchs also has a banner in a similar manner to the Dire Avenger Exarchs. This arm was taken from one of the regular Fire Dragon models. The shoulder pad was painstakingly removed from the unused Exarch's arm and added here. This Exarch has been placed on part of a wrecked Rhino tank, instead of the tank tracks that the standard model stands on. 1. The first Fire Dragon Exarch, partway through construction. 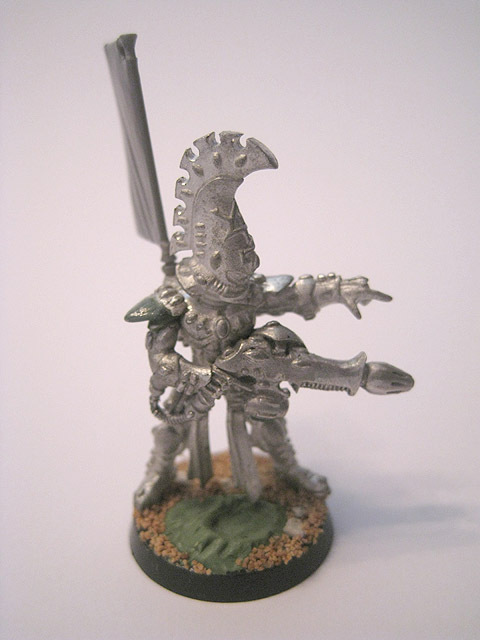 This one is wielding a melta bomb and Fire Pike. 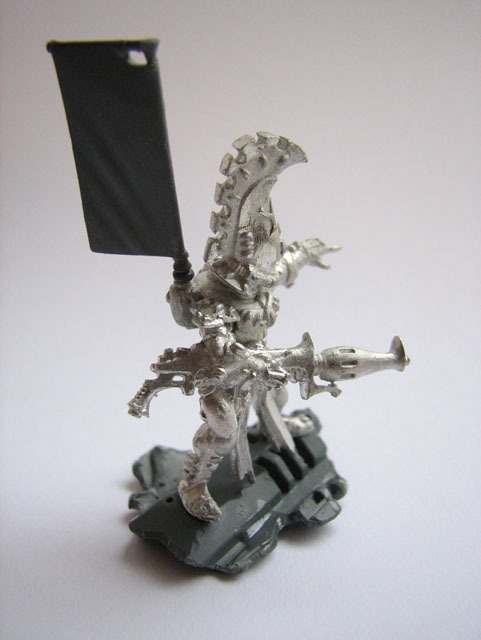 The pennant was taken from the Dire Avenger Exarch. I removed the Dire Avenger rune from the top of the bannerpole. 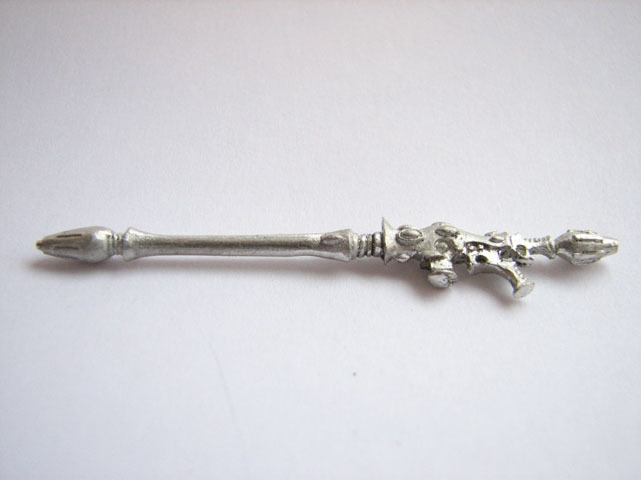 The left arm, which will grip a Firepike, was taken from the Guardian sprue. 2. Some of the earlier artwork for the Fire Dragons depicted their Exarchs with pennants, so I decided to add these to all of my Exarchs. 3. 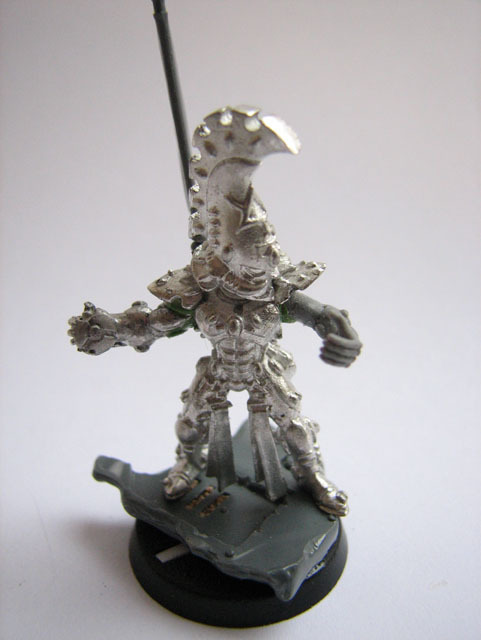 The first Exarch, viewed from the front. The right hand was cut away and the barrel carefully filed down, preserving as much detail as possible. 4. I required the Exarch to hold a Firepike in his left hand, so I had to remove the right hand that is normally attached to the barrel. 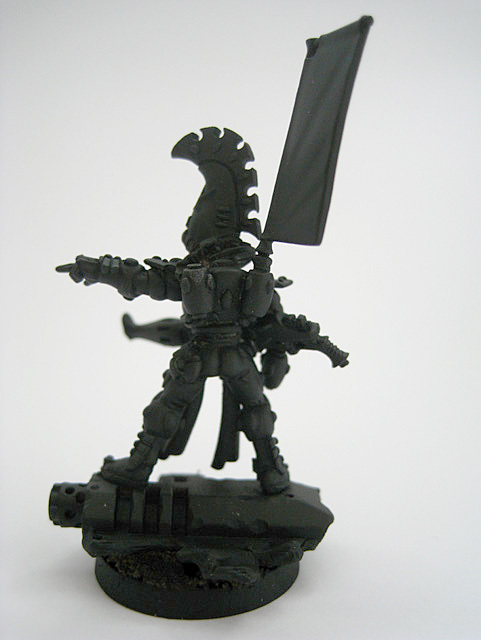 I detached the shoulder pad and repositioned it to allow the arm to be slightly reposed. Polystyrene cement was used to give the edges of the wreckage a molten texture. 5. This second Exarch is equipped with a Dragon's Breath Flamer. 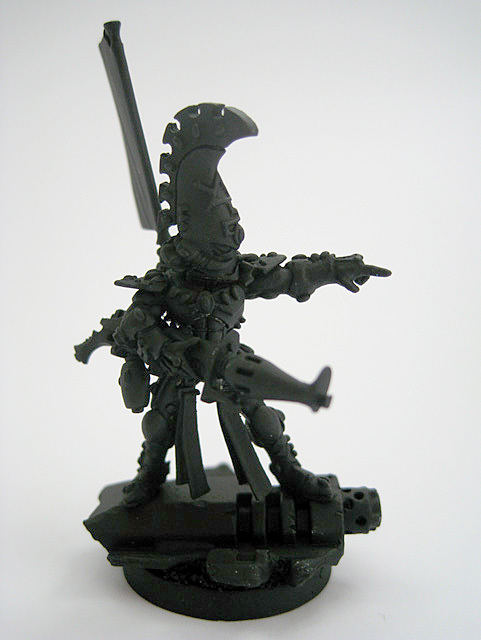 The wreckage under the Exarch's feet is an exhaust stack from a heavily-abused Space Marine Rhino kit. 6. 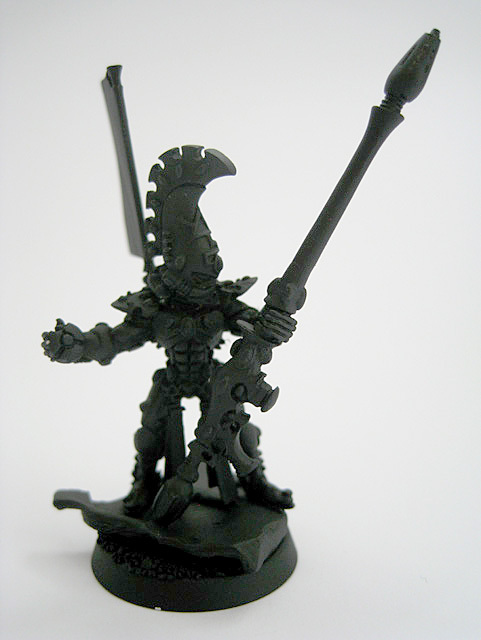 Another view of the second Exarch conversion. The gun and arm were carefully cut away from a standard Fire Dragon. The shoulder pad was taken from the original Fire Dragon Exarch model and glued in place. 7. This final Fire Dragon Exarch is simply armed with a standard fusion gun. 8. 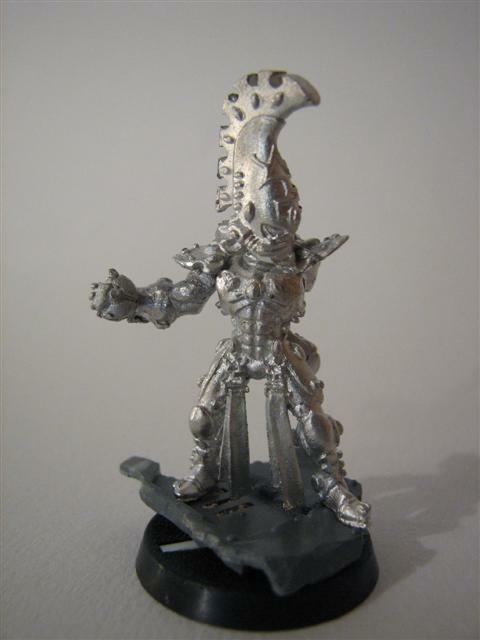 The first Exarch, completed and undercoated. 9. 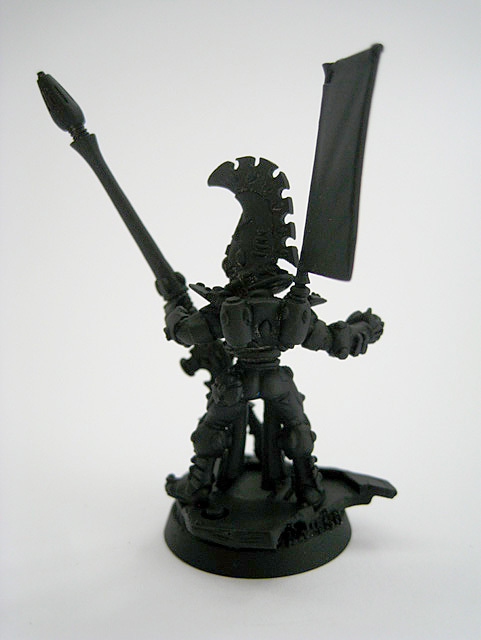 A view of the first Exarch from the back. 10. The second Exarch with the Dragon's Breath Flamer. 11. 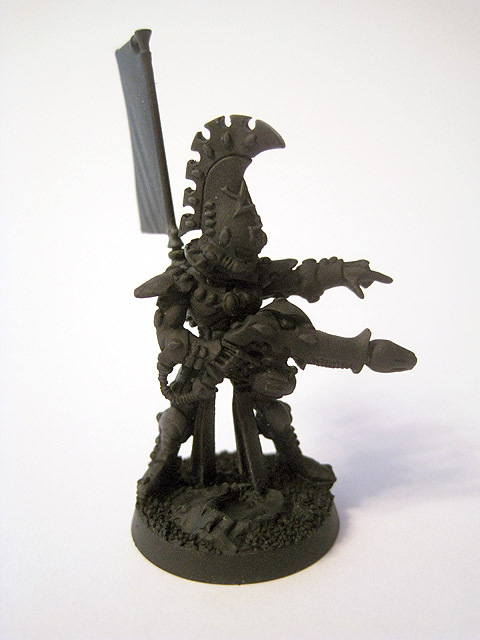 Rear view of the second Exarch. 12. 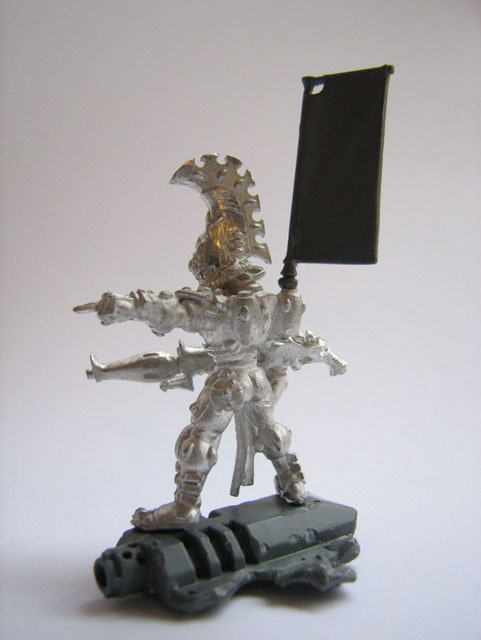 A close-up of the Fire Dragon Exarch armed with a Fusion Gun. Several years after I first assembled the model, I finally completed the Green Stuff sculpting on the reverse of the Fusion Gun. The model is now ready to be undercoated. 13. The last Exarch has now been undercoated.